Yule Adore Our Cheese Of The Month! December’s cheese of the month is the Manchester Family! The holiday season is upon us. It’s time for sharing, caring, and merriment! December is an important time to reflect on the important things in our lives and sharing quality time with loved ones. That’s why this month we are focusing on our nearest and dearest Manchester family, which consists of our award-winning cow’s milk cheeses: Manchester, Pere Marquette, Manistique, and Washtenaw. 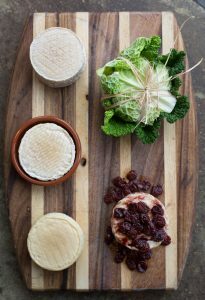 For a little something special to sweeten up the season, the Grand Traverse provides a wonderful balance to your holiday cheese plates and dishes!